A-Fib is not a “one-size fits all” type of disease. You need a personalized treatment plan. To begin, first educate yourself about Atrial Fibrillation, and then review all your treatment options. 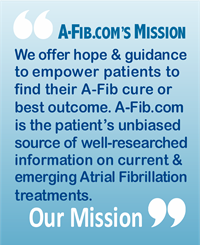 See Overview of A-Fib, Find the Right Doctor for You and Treatments for Atrial Fibrillation. A-Fib treatments include both short-term and long-term approaches aimed at controlling or eliminating the abnormal heart rhythm associated with A-Fib. 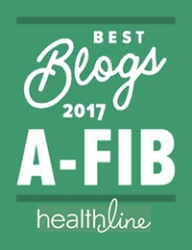 Next, you can move on to the guidelines we’ve posted: Which of the A-Fib Treatment Options is Best for Me? You are then prepared to discuss these treatment options with your doctor. Keep in mind, this should be a ‘team effort’, a decision you and your doctor will make together. You are not alone. Many, many others with A-Fib have been where you are now and are ready to share their experiences and insights. Our A-Fib Support Volunteers: Having someone you can turn to for advice, emotional support, and a sense of hope that you can be cured, may bring you peace of mind. Our support volunteers offer you one-to-one support through exchanging emails and sharing their stories. To learn more, go to our page A-Fib.com’s A-Fib Support Volunteers. Positive Thoughts/Prayer Group: At A-Fib.com we believe in healing through hope, belief, prayer and in the power of positive thoughts. To learn more about our group and how to send in your request, go to our A-Fib.com Positive Thoughts/Prayer Group. Ronny, Our Newest A-Fib Support Volunteer—Not Cured—Yet! We welcome Ronny Sullivan, a new A-Fib Support Volunteer, who’s from West Seattle, WA, USA. Our newest recruit is not cured and is still fighting to fix his A-Fib. His history with Atrial Fibrillation spans 10-15 years and includes two failed ablations, a stroke, and several cardioversions. Along the way, he’s done extensive research about his condition. 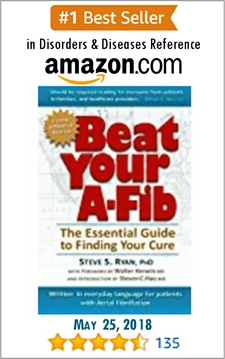 “I know how scary A-Fib is at first, and how much mis-information is out there. Ronny has gone through a lot while seeking his A-Fib cure. He wants to help others who are also dealing with Atrial Fibrillation. He welcomes your email (ronnysullivan(at)yahoo.com) or you can phone him at (206) 396-7682 (Pacific time zone). Our A-Fib Support Volunteers offer their support and hope through exchanging emails and sharing their stories. We invite you to learn more about our world-wide network and browse our list of volunteers. 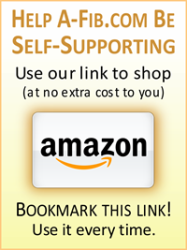 Go to A-Fib Support Volunteers. Ronny: I’m glad to have you with us, and thanks for volunteering to help others with Atrial Fibrillation. 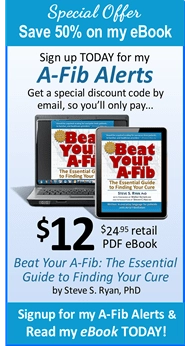 There are many ways you can participate at A-Fib.com. One important role is being an A-Fib Support Volunteer— someone who offers another A-Fib patient hope and encouragement. Atrial Fibrillation changes your life. When diagnosed, it helps to talk with someone who has (or had) A-Fib. That’s the role of our A-Fib Support Volunteers—someone who has “been there” and is there for other patients. These volunteers have been helped along the way and want to return the favor. 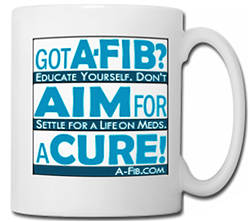 We’re not like most A-Fib discussion groups and other online support groups. Our Volunteers offer one-to-one support and hope by exchanging emails, being a sounding board and sharing their own A-Fib story. We are blessed to have many generous people from all corners of the globe who have volunteered to help others get through their A-Fib ordeal. Most A-Fib Support Volunteers are not medical personnel They are not paid. They come from widely different backgrounds. Note: Not all Support Volunteers are ‘cured’ of their A-Fib, but have found the best outcome for themselves. You can help someone struggling with A-Fib, offer emotional support and encourage another patient to seek their cure. A-Fib Positive Thoughts/Prayer Group: Another Support Group. To learn about our A-Fib Positive Thoughts/Prayer Group and how to send in your request, go to our A-Fib.com Positive Thoughts/Prayer Group. This list of worldwide A-Fib Support Volunteers is arranged by geographical region. Note: substitute an “@” symbol for the “(at)”. Ira L., Rome, Italy; (Fluent in English & Italian) E-mail: idl.sorbo(at)mclinknet.it (Experience in overcoming heart problems—heart attacks, pericarditis, cardiac asthma, bradycardia, tachycardia, PVCs & PACs, A-Fib [cured 2004], and pacemakers. He wears an ICD.) (see his personal experience story, #31: Living With a Pacemaker/ICD).